A tribal health organization in Southeast Alaska is encouraging members to enroll for health insurance. Through a new program, some Alaska Natives will have an opportunity to get it at no cost. Thirty-year-old Crystal Rogers is an Alaska Native who signed up for health insurance on her own through the Affordable Care Act. Rogers was born and raised in Juneau. As a Tlingit, she has access to health care from Southeast Alaska Regional Health Consortium, or SEARHC, which receives funding from the federal government. Rogers considers these resources a blessing. “But at the same time there are some gaps and there are some needs that are not being filled,” she says. When she went to college in Portland, Rogers realized the care she received from SEARHC didn’t travel with her. She ended up using an Indian Health Services facility in Portland, but there were still times she needed care after hours. “It’s been a long time coming where I’ve been paying out-of-pocket myself for urgent care, emergent care, care while I’m traveling, and I just couldn’t afford it and I didn’t want to do it,” Rogers says. Now that Rogers has health insurance through healthcare.gov, she no longer has to pay any out-of-pocket costs, like deductibles or co-payments. That’s one of the benefits of the Affordable Care Act for low income Alaska Natives and American Indians. Rogers pays only a monthly premium. SEARHC outreach and enrollment manager Andrea Thomas wants to make sure Alaska Natives know all their health care options. “There are a lot of great opportunities with the Affordable Care Act and being able to enroll at any month of the year and depending on your income, you can get just a really tremendous deal,” Thomas says. Around 13,000 Alaskans enrolled for insurance on healthcare.gov. In an optional section of the application, only 115 identified themselves as Alaska Native or American Indian. These numbers reflect the general open enrollment period which ended March 31 and doesn’t start again until November. Alaska Natives can enroll during any month of the year. 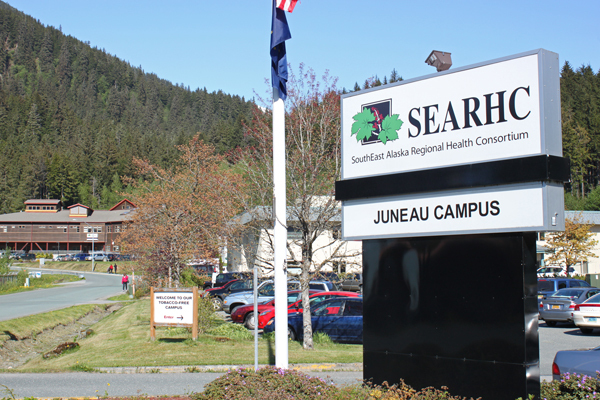 Alaska Native Tribal Health Consortium has partnered with SEARHC and several other Native health organizations around the state to offer a new Tribally-Sponsored Health Insurance Program on a trial basis. The program purchases insurance on healthcare.gov for a select number of income eligible, qualified Alaska Natives, and pays all the monthly bills. There’s no cost to program participants who are encouraged to use tribal hospitals and health centers whenever possible. Thomas says insurance helps the patient and SEARHC. “Like any heath care entity, we bill insurance, Medicaid, Medicare, third-party insurance. And when people are uninsured, you can’t bill. So this is another way to increase the number of people that are insured, which is basically revenue coming in,” Thomas says. According to the Alaska Native Tribal Health Consortium, the federal government provides roughly half of what tribal medical organizations need. That’s not enough, says Thomas. “Health care costs are rising while the money that we receive is just a fraction of what it really costs to really run effective programming,” she says. Now that Rogers has seen the benefits of having insurance, she’s encouraging other Alaska Natives to get it as well. “Even if it was just, let’s say, half of the people were covered. The other half of the people who are not covered will end up getting better care as well. It’s really for the benefit of all of our tribal member shareholders and these facilities that take care of them,” Rogers says. SEARHC and other Alaska Native medical organizations are screening people for eligibility in the tribally sponsored insurance program. More than 500 Alaska Natives will be able to participate in the trial, which lasts through December.